No beef? Really? You’re a better man than I am! Seriously, I might complain about certain types of request, but these, as FOIman has said, are all part and parcel of an important right that should never be taken away: I am firmly in the FOR FOI camp (hey, I’m a taxpayer too, I want our authorities to be publically accountable and absolutely believe they should be). Perhaps that would mean requesters would find it easier and therefore be more willing to do their own research, instead of losing the will to live trying to find the same information from numerous organisations, all of whom present it differently, sometimes using different terms. Despite having complained on here about certain types of requesters, I do have every sympathy with the difficulty of trying to ‘benchmark’ across differing organisations. 2. Most organisations I’ve seen badly need to improve their publications schemes, making it more explicit what type of information each ‘class’ covers in relation to their own organisation. 3. Publication of (anonymised of course) FOI requests and responses should be legally mandatory. As people get used to this being standard operating procedure, again, they may be more willing/find it easier to ‘search’ the information they want. 4. 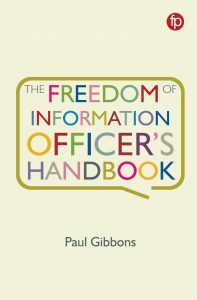 Unfortunately, FOI is often not given sufficient personnel resource in organisations in terms of seniority and knowledge of the FOI lead and – if they are lucky enough to have them – administrative staff. More accessible training and professional registration could go a long way to address this. If FoI requests are going up, then the government should provide more support for FoI to enable those to be met, or they should pre-emptively release more data so they can simply direct FoI requesters to it. The idea that one should charge to stop people asking for information is absurd and insulting, given that taxpayers pay for services provided by public authorities and are at a huge power disadvantage when it comes to tackling that authority. FoI is a mere pea-shooter ranged against tanks. 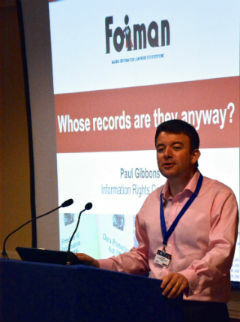 Oh and the authorities – certainly all govt departments – should have an all-purpose 911 style FoI email which is foi(Replace this parenthesis with the @ sign)nameofauthority.gov.uk – it’s crazy how one has to trawl through websites to track down the correct email addresses for a range of similar authorities. 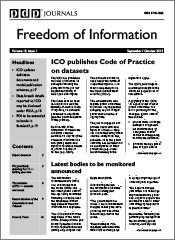 I like the description of FoI rights as the ‘badge’ of a free and democratic society. But like Chuck Connors in ‘Branded’, I had my FoI and DPA badges torn off and thrown in the dirt. Good old Cheshire West and Chester Council. AND…. they see it as “lawful” and have a “settled intention” to do it again in the future! !